CAO is another of my favorite "big brand" Cigar lines. I try picking up every new release, but I don't always succeed. However, on my last trip to Cigar Train I scored this CAO Amazon Basin Toro. After smoking it, I should have grabbed a few more. Since you probably don't live in Spokane, MikesCigars.com has these in stock and ready to ship. I don't do much reading about a cigar before my review so that my judgement isn't influenced. Well, this cigar tricked me a bit. I would have sworn it had an Andullo leaf inside, but it didn't. This cigar does have a special leaf inside that's cured much like the Andullo leaf, but instead it's called "Branganca". It's grown, harvested and fermented deep in the Amazon rain forest. 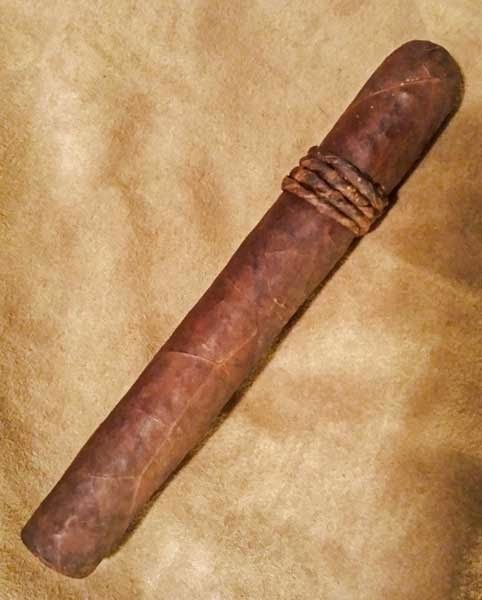 With it's twisted tobacco band, this Toro looks as rugged as the deep Amazon itself. The Ecuadorian Sumatra ligero wrapper is dark, so dark it's almost Oscuro colored, it's seamless, it has a few smaller veins and some nice tooth, overall it looks fantastic. From the cold foot there is a deep fruity aroma to the nose and the flavor of the free cold draw reminds me of spiced red wine. After the foot is toasted and burning the first medium bodied flavors encountered were reminiscent of dark chocolate, black cherries and spice. A delicious combination. As the burn moves up the cigar, oil starts building on the wrapper and the other flavors start building. There are notes of raw sugar, rich fermented tobacco, a hint of oak, dark brown sugar, toast, charcoal, chocolate and espresso. I thought it was an amazing combination of flavors! The CAO Amazon Basin Toro finished it's seventy-five minute burn with a full bodied mix of toasty charcoal. One final thought on the flavors. I thought the cigar had notes of red wine throughout, but not like a wine infused cigar, more like wine itself would taste. Since this Branganca tobacco is rare--harvested once every three years--only 2000 boxes of Amazon Basin cigars were produced. 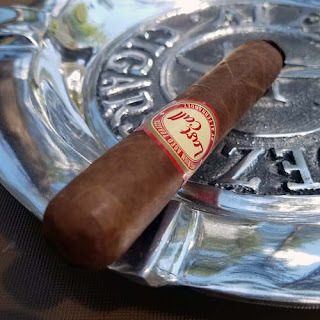 If you're lucky enough to find this cigar, grab some before it's to late!